I have been designing databases since about 1998. I have experience with Microsoft Access, Microsoft SQL, MySQL and Oracle database design. I can design database schemas and relationships with visual tools, and also by hand coding with SQL statements. 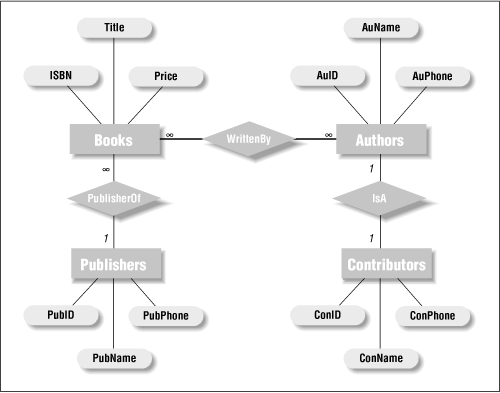 Below are some simple samples of my entity relationship diagrams.